The creator Janden Hale is Dan Donche, well known for his hugely popular Inappropriate Tarot Readings. His Darkana Tarot Deck combines a modern grunge style with non-traditional tarot symbolism. It is primarily a black and white deck, with pops of color throughout. 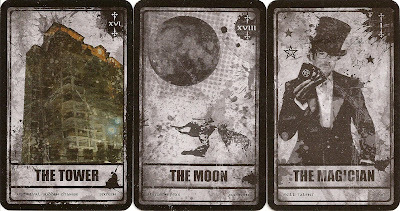 The Darkana has an additional card, XXII The BadAs and was packaged in a cardboard tuck box. 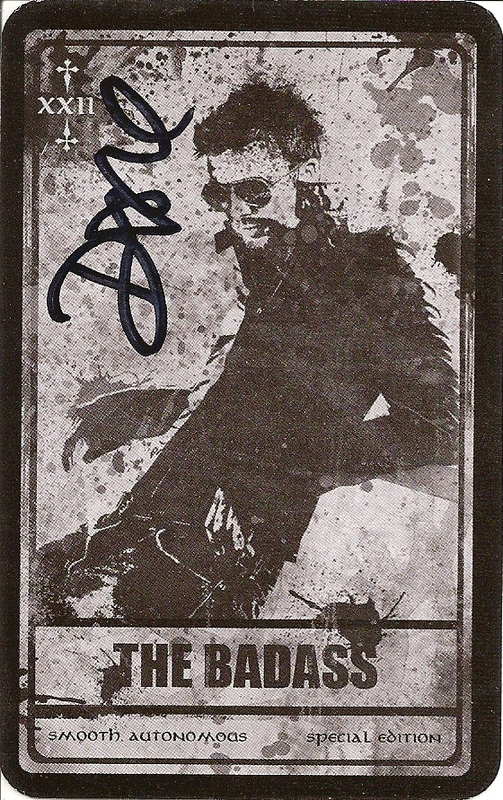 It doesn't come with a LWB, but has keywords in the bottom left hand corner of each card.